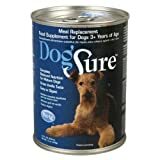 (More customer reviews)I gave my 11 old Rott X this product when he was very ill and could not keep anything down on this stomach. He loved the taste and didn't have a problem keeping it down. It also kept him hydrated while building his strength back. It's a little expensive but well worth it in the long run.